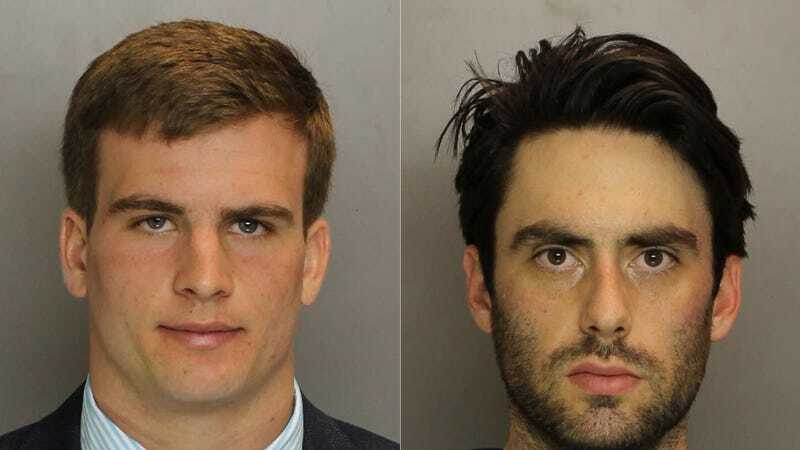 Some cool lacrosse-playing prep school graduates from the Philadelphia Main Line were arrested Monday for starting a drug ring after police confiscated "a stockpile" of everything from drugs to guns to money around the Philadelphia region. Good use of a quality education. Called "The Main Line takeover project" by the masterminds of the project, The Philadelphia Daily News reports that charges have been filed against nine young men and women between the ages of 17 to 29 who were attempting to monopolize the drug trade in this region of Pennsylvania in suburban Philadelphia. Anyone familiar with this comfortably wealthy part of the state will be wholly unsurprised by how the ring worked: A few masterminds supplied to teens who attended high schools like Lower Merion, Conestoga, Harrinton and Radnor. Those teens supplied to their own schools, but also dealt to local colleges like Gettysburg, Lafayette and Haverford. Text messages recovered during this investigation revealed that Neil Scott gave Timothy Brooks business advice on how to expand the sale of marijuana in local high schools. Brooks in return, supervised sub-dealers who sold marijuana at the local high schools. Brooks supplied them with marijuana and encouraged them to efficiently distribute drugs at their schools. The high school sub-dealers were encouraged to sell at least one (1) pound of marijuana a week. Brooks encouraged his sub-dealers to meet their weekly quota. The incentives included a lower purchase price for marijuana in order to increase their profit margin. Brooks instructed the high school sub-dealers to make certain there was always a constant supply of marijuana in their assigned school. Brooks said this was important to him because he remembered not always being able to buy marijuana when he was in high school. The subdealers, sans the two underage individuals. Police were able to infiltrate the ring with controlled buys and confidential informants, which, given the age and race of those involved sounds pretty 21 Jump Street (the Channing Tatum/Jonah Hill version). The coach of the lacrosse team is very sad; he told the Philly News that Scott and Brooks were good players. Scott is being held on a $1 million bail, while Brooks is out after his parents posted 10 percent of his $250,000 bail. Most of the rest of the subdealers have turned themselves in.